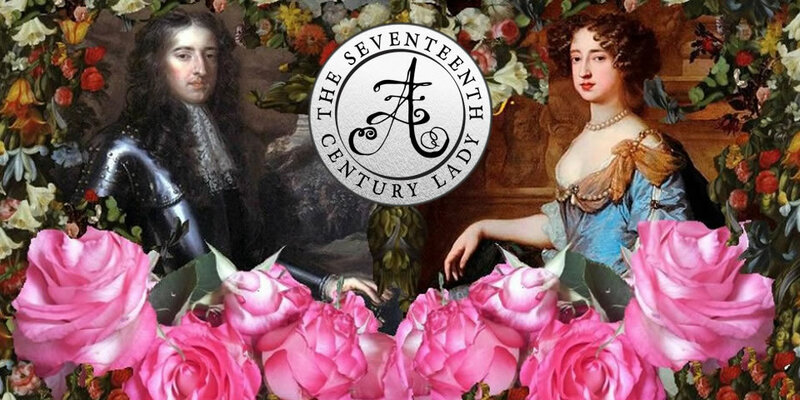 Please welcome Historical fiction/romance writer, Francine Howarth to The Seventeenth Century Lady! 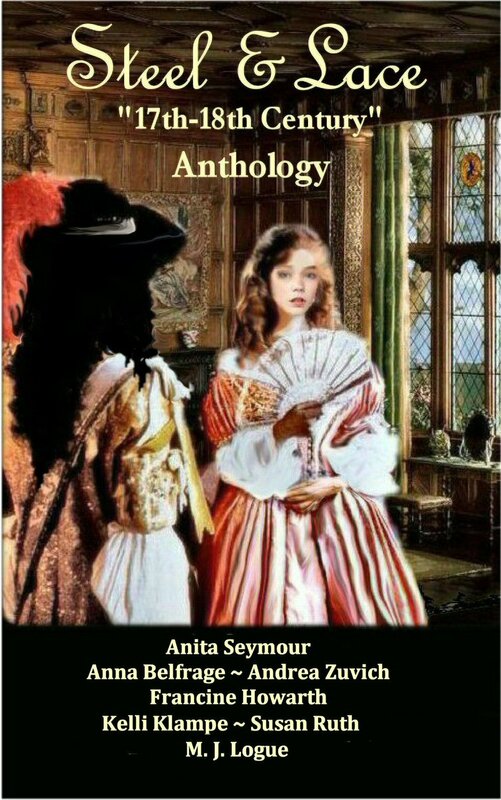 Thank you so much Andrea for inviting me over to your blog and for letting me run riot across the page brandishing sword, pistol and musket in true Cavalier style. 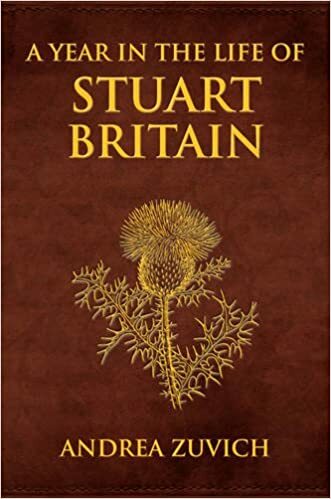 But first, let me say I favour neither Cavalier or Parliamentarian within my series of novels set within the time span English Civil Wars, Interregnum years, the Restoration and The Glorious Revolution. 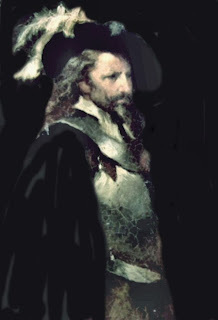 Imagine if you will Sean Bean as this man: William Lord Gantry Earl of Axbridge: a real live historical person? Of course not, he’s one of my fictional characters. 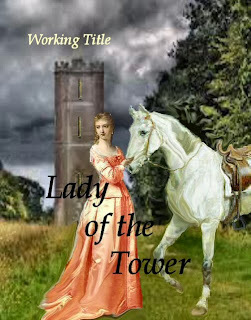 I am as much an avid reader as that of crazed writer setting my own tight deadlines and undertaking all artwork necessary for covers and layout of paperback copies etc, Do I do a good job with graphic design: who knows, but I enjoy doing it and the cost is peanuts because I’m the monkey and, the organ grinder. I have an academic historian who beta reads and edits my novels for the sheer love and pleasure of reading historical novels, and yet still typos and mishaps escape her notice as they do mine. But hey, she’s only human not a fiendish literary critic nor a wannabe editor! And, as a reader I simply settle down to enjoy good books by other authors and have no desire to critique as I go, and willingly skip minor blips. But, there have been many times on reaching the end of a book I’ve wished a sequel might be in the offing, not necessarily a follow-on with existing characters as the lead subject matter, because often as not supporting characters have intrigued my sense of the curious and I would have liked to get to know them better. Hence, I penned The Royal Series, and strange as it may seem, not one of the books is essentially about royalty. Nonetheless, royal persons of note have walk-on parts or minor starring roles. After all, the royals are a well-documented species and therefore relatively easy to chart their lives. However, I had it in mind the whole process had to be a challenge. The characters had to be of my own creation, albeit the backdrop would be that of real-time historical events. The series has whirled around in my head since some ten years ago but life and other writing commitments (mainstream published novels) and events beyond my control prevented the books from being penned. At last they are coming to fruition. BTW. For anyone who follows my blog posts or knows me well, they also know how my stories come about, and if you’d like to know for yourself you can find out by reading About Me. So what inspired the writing of five novels and what could portraits; a house, a diary, a horse and one man’s words, possibly have in common with a series of historical romance novels? With the fourth book in draft and fifth book in scant outline, there is to be a prequel to follow. Sounds silly writing a prequel after the event of having penned five novels does it not, but sometimes it happens that way. With Book 1: By Loyalty Divided, Three Portraits became the inspiration, and the setting is that of the English Civil Wars. 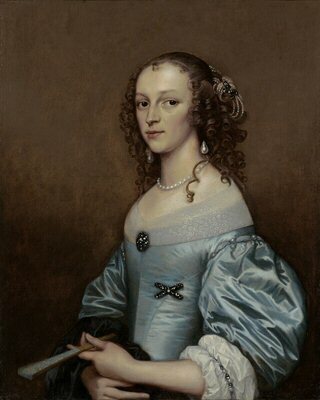 Portrait (1) happened to be that of a young lady clearly of great wealth but no reference as to who she was. She inevitably became the face of the heroine. Portrait (2) was that of a mature Cavalier who became her ward. The other work of art featured a Cavalier (similar to the first) and that of a young Roundhead officer, both were battling it out on horseback swords drawn. They duly became father and son within the novel, hence the title By Loyalty Divided. 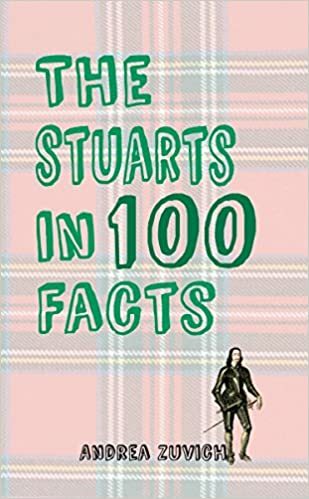 A real-time Diary penned throughout the Civil Wars by a Cavalier, in itself, afforded detailed accounts of the Royalist army and intriguing asides. I utilised his dates of battles and skirmishes alongside other specifics to ensure as near as accurate movement of my fictional troops to coincide with real-time events. 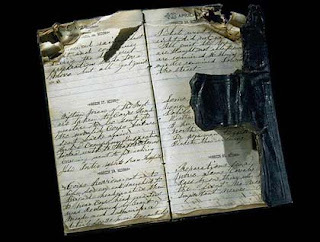 Also, private family letters and journals provided further insight to the periods depicted within the novels. 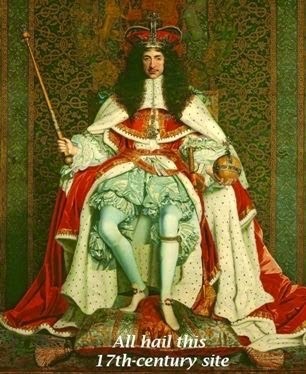 Book 2: A House and One Man’s Words provided the plot for Toast of Clifton, which is set when Charles II attempted to regain the throne of England (1651). His defeat at Worcester forced him as it does the hero and the heroine, to take flight into exile. The house that inspired this novel happened to be where I lived for part of my life, so I have first-hand knowledge of the spiral stone staircase featured in this novel. 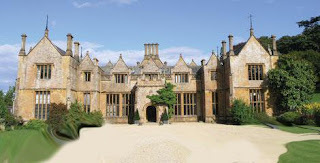 Needless to say a massive inglenook fireplace has a major role to play in this novel, too. 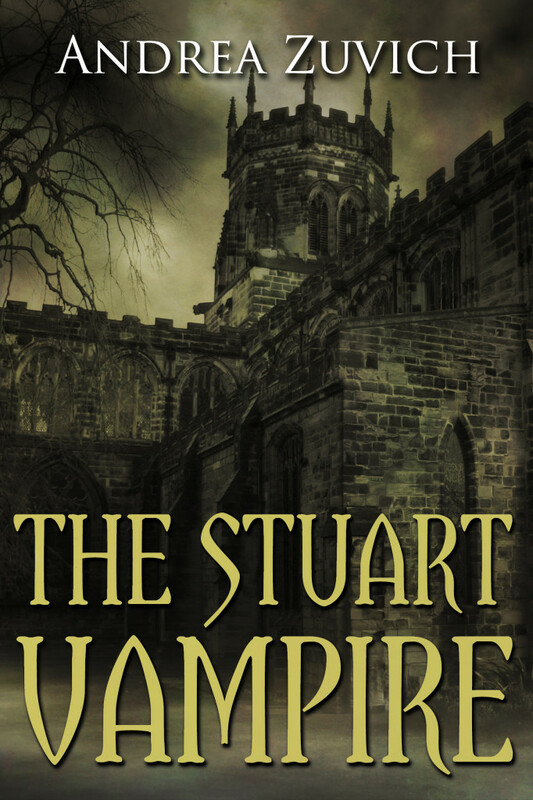 The Man, whose words inspired the second half of the novel, was none other than a descendant of James Scott Duke of Monmouth. His research was akin to discovering a diamond in the sands of a desert. Needless to say this novel is dedicated to that man. 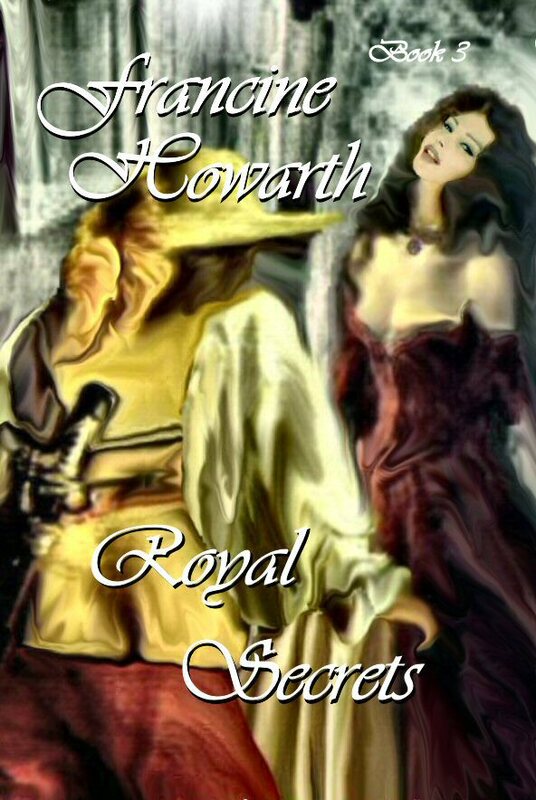 Book 3: Another Portrait inspired Royal Secrets, set nine years after the Restoration of Charles II to the throne of England. Imagine a portrait of a distressed young woman clearly terrified by events spiralling beyond her control. That image became the catalyst to a story fraught with courtly politics and intrigues, in which the life of the heroine is placed in mortal peril of plotters who are aiming to rid Charles II of a barren wife. 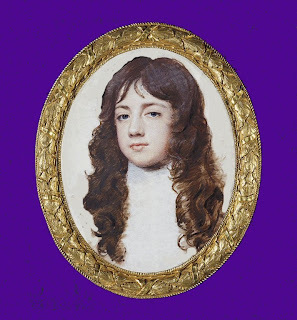 Book 4: A Portrait of the Duke of Monmouth inspired the writing of Love and Rebellion, which is set against the backdrop of his infamous Monmouth Rebellion. But of course, the characters from previous books were always destined to play their part in this sad story. And, whilst many of the characters are heartbroken by the duke’s capture and eventual death, two major characters manage to escape the carnage of defeat and set out for home. Evading capture en route proves harder than imagined, for one of the hunters in the King’s pay is close kin to one of the fugitives. Book 5: Lady of the Tower came about purely because a character stole my heart in book 2, her gender unknown until book 3. In book three she’s a charmer, and by book 4 the courage shown by this girl deserved a book all her own. Within book (5) the downfall of James II occurs, and with the Glorious Revolution comes the return of the heroine’s sister to home shores. 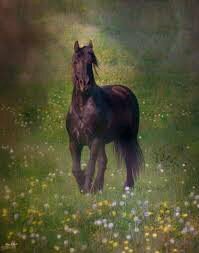 But A Ghost Horse and a Misty Morn inspired the plot for the prequel novel. The prequel tells the story of the horse and his master, who later becomes a groom-of-the-bedchamber to Charles II whilst in exile. The man in question in fact (chronicled) post Restoration of the Monarchy was indeed a groom to his majesty’s bedchamber. His sister was that of Lucy Walter. Did I encounter a ghost horse or not? Thank you so much for inviting me to guest on your blog, Andrea. It’s much appreciated and I hope people understand my remarks re series novels and find it an entertaining read.